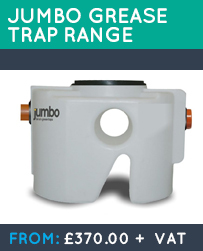 Our range of Jumbo Grease Traps are all designed and manufactured in the UK. 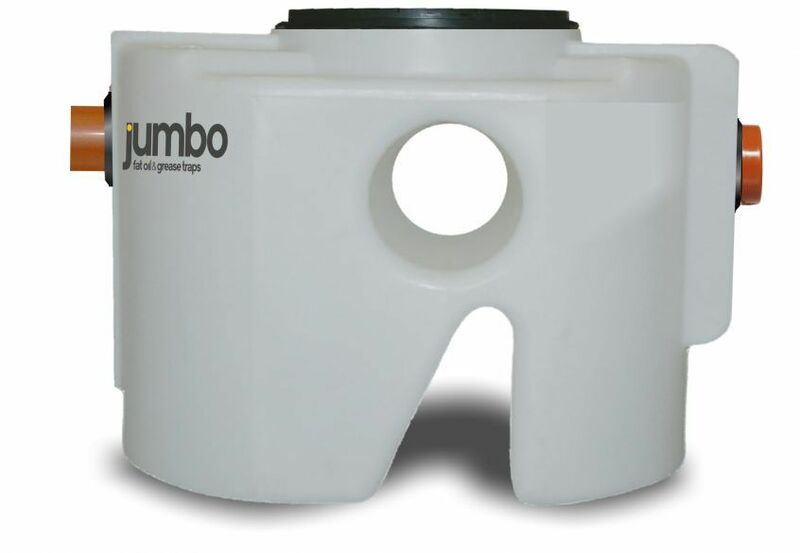 Each unit is built from a highly robust HDPE which means that they are expected to last around 50 Years! 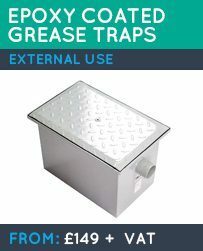 Available in two sizes, holding 300 and 600 litres these large grease traps are ideal for commercial kitchens of up to 9 sinks. 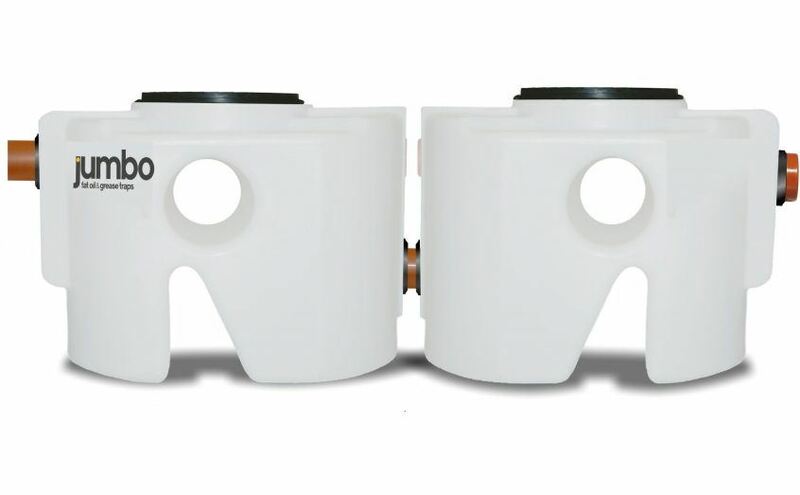 The unique plastic material means that these large grease interceptors can be installed either inside or outside and if needed underground. 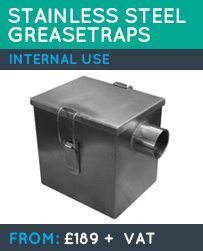 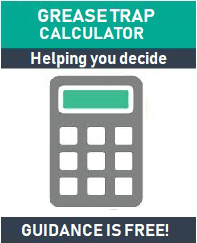 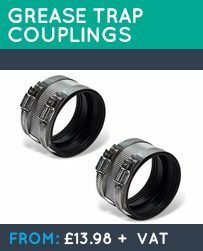 All of our large traps adhere to current building regulations and are delivered free of charge to all mainland UK areas within 3-4 working days.